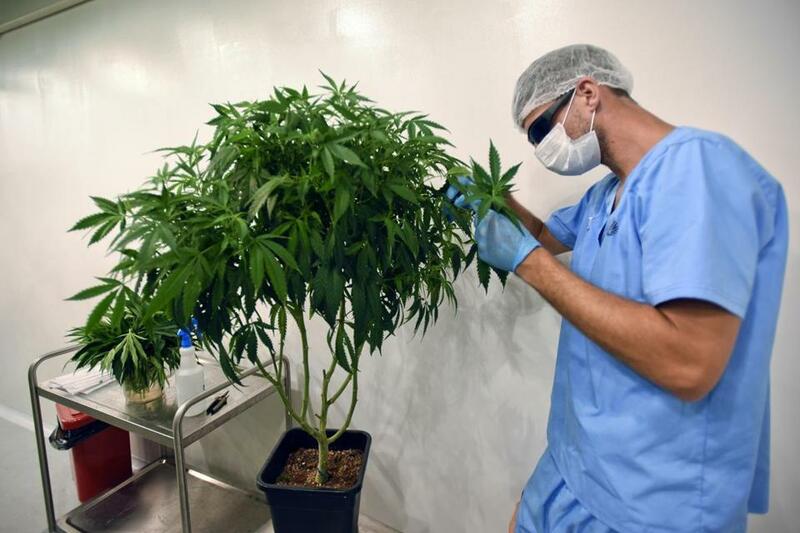 An employee of Fotmer SA, an enterprise that produces cannabis for medical use, make cuttings of a mother plant to produce clones, in Montevideo, Uruguay. HARTFORD, Conn. — Democratic senators in Connecticut are making a concerted push to legalize recreational marijuana in the state. The caucus on Wednesday unveiled legislation allowing adults 21 or older to possess up to one ounce of marijuana. The bill would also allow individuals to possess a limited number of marijuana plants. Senate President Martin Looney says legalized marijuana is ‘‘already on our doorstep,’’ referring to neighboring Massachusetts. He says the drug should be treated like other adult products — regulated and taxed. Democrats predict a tax on marijuana would generate up to $70 million in the first year and potentially more than $150 million annually afterward. Democrats also want to expunge certain criminal records for marijuana-related offenses. Republican Representative Vincent Candelora, who opposes legalization, questioned the connection between the two issues.